For millions of visitors around the world London is represented by a single iconic building: Big Ben. A few weeks ago Russell and I were very lucky to secure a spot on the Elizabeth Tower and Big Ben tour after a 6 month wait, and my gosh I'd recommend everyone to go! 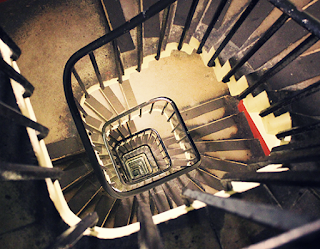 After completing multiple security checks and locking our phones and camera's away (photography is strictly prohibited) our tour began with a short walk through a secret underground tunnel to the base of the tower - we felt like we were in a James Bond movie! Tiled walls, guiled ceilings, over sized solid wood doors and stone lion statues whizzed by as we were ushered into the narrow staircase that would lead us to Big Ben. Here our climb began. The tour took us up 334 limestone steps, however unlike the Monument there are a few stops along the way to allow you to catch your breath - so don't worry about doing it all in one go. The tower was officially re-named The Elizabeth Tower in 2012 to commemorate HM The Queen's Diamond Jubilee. Our first stop was the mechanism room which holds 5 tons of machinery. The clock's movement is famous for its reliability, with old penny coins still being placed on the pendulum to adjust the time of the clock. 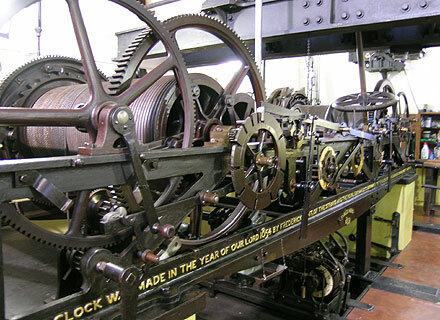 A few weeks ago the clock was discovered to be running 7 seconds fast at the dismay of the BBC, which records the chimes live (therefore resulting in the news ending early). After the mechanism room we got to go behind the stunning clock faces. 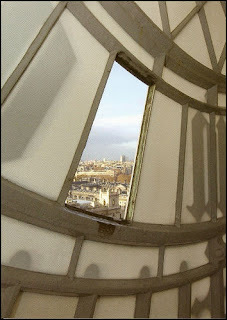 On 10 May 1941, a German bombing raid damaged two of the clock's dials, which have since been replaced. A small window in each dial still remains which was previously used by workers to scare birds (in 1949 the clock slowed by four and a half minutes after a flock of starlings perched on the minute hand). Now birds of pray are flown around the site twice a week to deter birds and the window is held in place with cable ties. 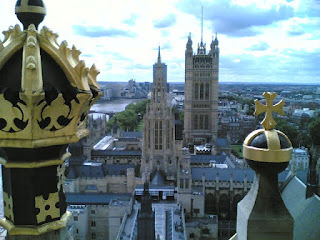 We then finally reached the top of the tower we experienced Big Ben strike the hour - thankfully, we were giving ear plugs! The chimes vibrated through our bodies and you could feel the the structure of the tower shake - it really is phenomenal to witness. The original bell was a 16 ton hour bell, cast on 6 August 1856 in Stockton-on-Tees by John Warner and Sons. The origin of the name 'Big Ben' remains a mystery - it was possibly named in honour of Sir Benjamin Hall ( his name is inscribed on it), however another theory suggests it was named after a contemporary heavyweight boxer Benjamin Caunt. After being transported to the tower on a trolley drawn by sixteen horses, with crowds cheering its progress, it cracked beyond repair while being tested and a replacement had to be made. The bell was recast on 10 April 1858 at the Whitechapel Bell Foundry as a 13½ ton bell. After 18 solid hours of hard graft it was finally pulled 200 ft up to the Clock Tower’s belfry and first chimed in July 1859. However, in the September it too cracked under the hammer, a mere two months after it officially went into service (apparently a hammer more than twice the maximum suggested weight was used to chime the bell). 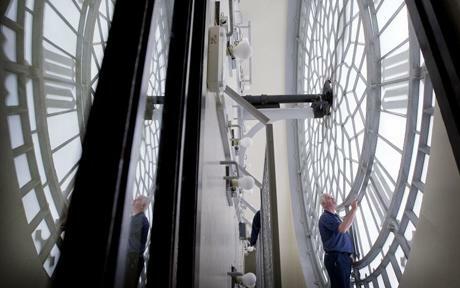 For three years Big Ben was taken out of commission and the hours were struck on the lowest of the quarter bells until it was repaired. 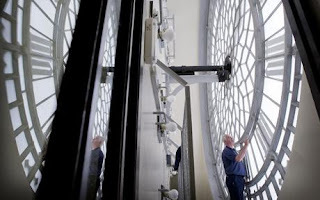 To make the repair, a square piece of metal was chipped out from the rim around the crack, and the bell given an eighth of a turn so the new hammer struck in a different place - ever since then Big Ben has chimed with a slightly different tone. We were told in 50 years time the bell would be turned again and should last another 200 years - by which point the bell will need to be replaced again. We then made our way back down the staircase, this time all in one go, and was dizzily lead back to the lockers to pick up our belonging. Due to the unique layout of Elizabeth Tower, there is a very limited capacity for visitors each year. 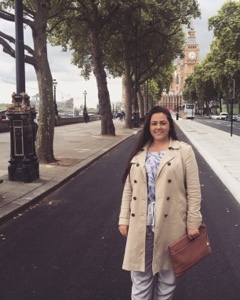 To manage demand for tours, MP's are limited in the number of applications they are able to make for constituents to climb the tower each month. Tours are generally fully booked 6 months in advance. UK residents should contact their local MP to arrange a tour - contact details can be found here.